Shiva is the most ancient and original God of Hinduism. He was worshipped in several prehistoric cultures under different names. Historians believe that he was probably worshipped even by the people of the Indus Valley civilization. While we are not certain about it, we know that Shiva was certainly worshipped by the people of India before the emergence of the Vedic religion. The Sramana (mendicant) and Shamanic (sorcerous) traditions of the ancient world probably worshipped Shiva or his aspects. By time the Vedic culture gained prominence in the kingdoms of the Northwest and the remnants of the collapsed Indus Valley civilization, Shiva was already a popular god of many native people and ascetic traditions of India. With its emphasis upon liberation, renunciation, and extreme austerities, and inclusiveness towards all sections of society, Shaivism and its sectarian movements stood in sharp contrast to the caste and color obsessed Vedic culture and its ritual traditions. Compared to Shaivism and other native renunciant traditions, such as that of the Bhagavathas, Bhaktaas, Ajivakas, and Samkhyas, which prevailed in India since the earliest times, and which were predominantly spiritual, Vedism or Brahmanism was an inferior tradition with its excessive focus upon elaborate rituals and sacrifices rather than liberation and self-purification. Many concepts of today such as karma, liberation, yoga, self-realization, Samsara, modes (gunas) and realities (tattvas) of Nature, detachment and dispassion entered the Vedic religion through native renunciant traditions as part of an internal churning and found their way into the Vedas and Vedic lore. Prominent among them was Shaivism, with its broader appeal, a long history, complex philosophical and spiritual philosophy, monotheistic and polytheistic features, asceticism, rich literature and the broader appeal of Shiva both as a personal God of the microcosm and the Universal God of macrocosm. The descriptions of Shiva fitted perfectly in the Vedic conception of Purusha as the Cosmic Being. While in the initial stages Vedic people showed a clear lack of knowledge about him, other than finding in him aspects of the fierce form of Rudra and Kala, for the worshippers of Shiva he was the lord of the universe, with both pleasant and unpleasant aspects as the creator, preserver and destroyer of the worlds. In the early Vedic hymns we can see ambiguity of the Vedic people towards the native gods (Vishnu, Shiva and Krishna) and the renunciant traditions of Sramanas, Vratyas, Bhaktas, Pasupathas, etc. 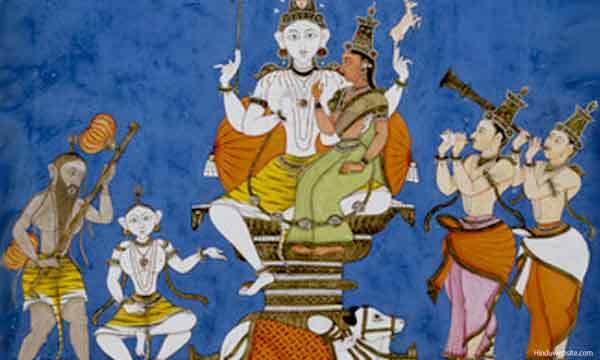 However, in the subsequent compositions, for reasons not well recorded by history, we can see a complete reversal in their thinking, attitude, and approach, which resulted in the integration of the native gods into Vedic pantheon and the elevation of Shiva and Vishnu into the Vedic Trinity as aspects of Brahman and Brahman himself in their highest aspect. It happened probably because, contrary to the popular opinion, it was the native traditions which triumphed over the Vedic tradition and allowed its best beliefs and practices to prevail under a reorganized and rearranged pantheon of gods and goddesses. In the new order Brahma lost his prominence, many rituals and sacrifices lost their magical appeal, and the Vedic gods were relegated to the secondary positions as the subordinate gods of the mid region (dikpalas). The development consolidated the status of Hinduism as the religion of the majority and later helped it to face the challenges posed by the ascendance of more organized renunciant traditions, namely Jainism and Buddhism, and more aggressive materialistic philosophies such as that of the Lokayatas. The ascetic and devotional (bhakti) traditions of Shaivism and Vaishnavism helped Vedic religion to invigorate and reinvent itself to counter their growing popularity both in the North and the South and consolidate its religious, devotional and spiritual appeal among the masses. While we do not know what led to it, the transformation of Hinduism into a complex faith of diverse beliefs and practices altered the course of religious history in the Indian subcontinent and made Hinduism the faith of the majority and synonymous with the native culture. The diversity also helped it to face the challenges posed by Islam and Christianity in the subsequent periods during the foreign occupation and subjugation of India.